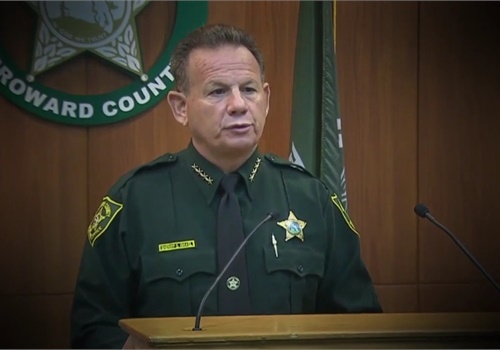 Broward County (FL) Sheriff's deputies say they are being called "cowards" by the public over the agency's actions during the Marjory Stoneman Douglas High School shooting in Parkland, and they want Sheriff Scott Israel to release all records of the incident and set the record straight. "It's the deputies that are out on the street taking the beating," said Deputy Jeff Bell, who serves as the president of the IUPA union, which represents the rank and file at BSO. "It's the individual deputy that is getting the comments of being called a coward and, 'Oh, you're working for the Coward County Sheriff's Office.' Those are confirmed reports." Bell said he doesn't see that stopping until Israel stops putting out spin about the shooting and puts out the facts. "We want total transparency," he told Local 10. "That is our position on this. Come forward with all the facts."